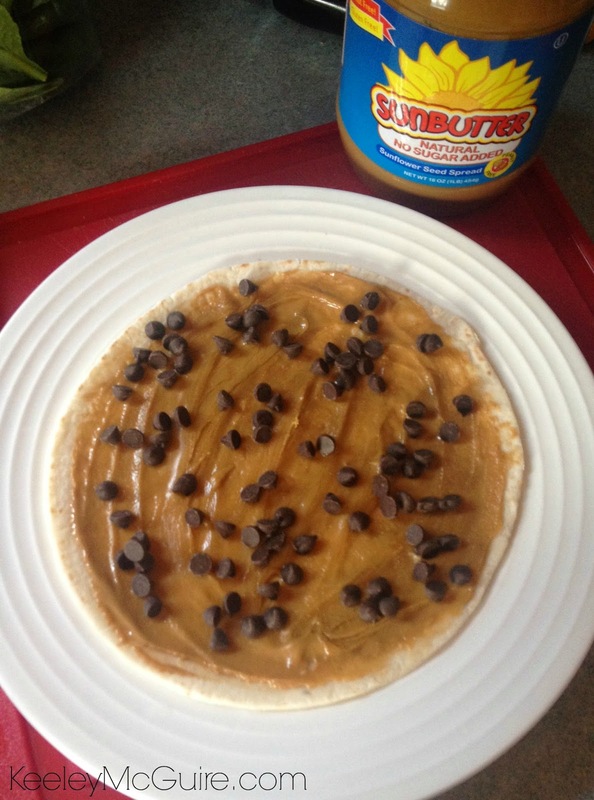 Gluten Free & Allergy Friendly: Lunch Made Easy: Sunny Days with SunButter Nut-Free Spread! Lunch Made Easy: Sunny Days with SunButter Nut-Free Spread! Spring is here. Lots of rainy days, little bursts of sunshine, and tons of sneezing in my house (got to love allergies!). Little Miss is so happy to be gearing up for the end of school. Once May hits it feels like there are so many programs, fundraising events, and different activities going on... before you know it, it's June and school is basically done! Crazy. The lunch packing never stops in this house, however. 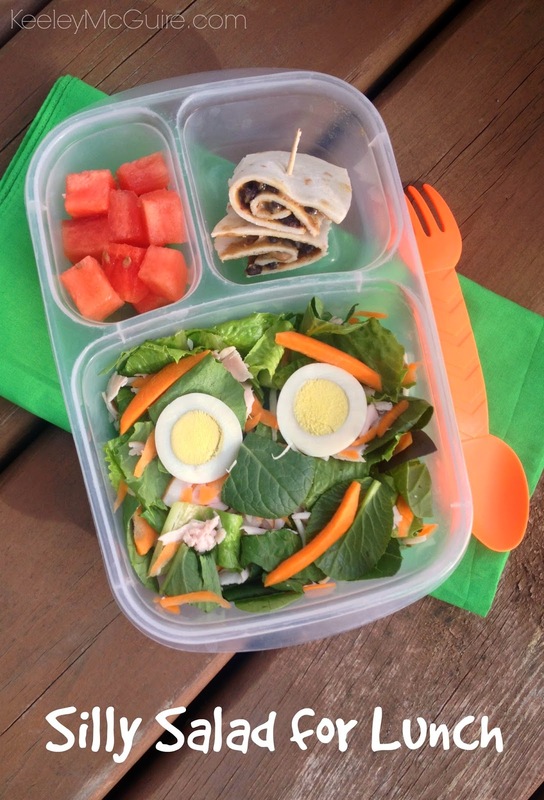 All through the summer, Little Miss still needs safe & healthy gluten free and allergy friendly lunches for the babysitter, visits with the grandparents, or on any road trips we may take. 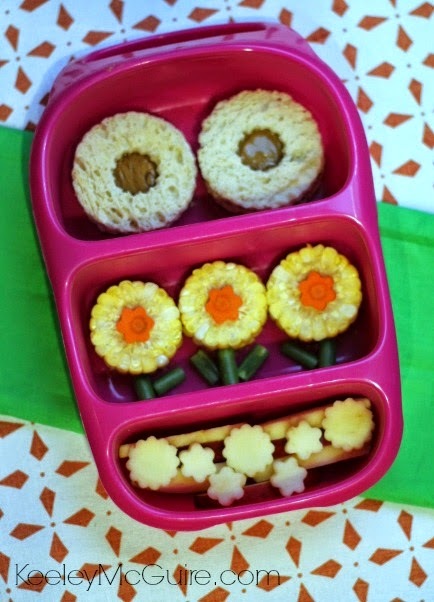 I packed Little Miss two "sunny flower sandwiches" using SunButter's new Natural No Sugar Added spread. I love this! I get to control the sweetness - especially since she and I both like eating it with honey so much, now it's not sugar overload. The bread is Canyon Bakehouse gluten, dairy, soy, and nut free bread. Also packed are fresh corn rounds with flower cut carrots on top and snap green beans for the flower stems. The bottom of her Goodbyn Bynto Raspberry container is filled with apple slices and apple flower cutouts. Her school lunch yesterday was a Silly Salad, which she loves when I make for her, packed in an EasyLunchboxes container. This time we also included a "Sunny Wrap"! Using an Udi's gluten, nut, dairy, & soy free tortilla, SunButter, a wee bit of honey swirled in, and Enjoy Life Mini Chips. It was delicious! I know because after I rolled it and sliced it... I ate the end pieces, hehehe!